Where: Organic Avenue in Southampton, New York Elm Health in New York City. Okay, so I admit my favorite drinks are Diet Coke and a good white wine. Almost daily I throw in a Skinny (ha) Carmel Macchiato from Starbucks. Even when it is 100 degrees it takes a conscious effort for me to reach for the amazing fruit and vegetables available everywhere right now. Recently, more and more, I have to stop myself from reaching for Ben & Jerry’s. Maybe it’s been my mood. I don’t know. Or maybe I was just built this way (can we blame genetics for some of this?). I wish I was different but it’s who I am and a constant struggle. Many close to me say I am too hard on myself but it’s just the way I am built. Sometimes, when I forget about the52weeks.com I get overwhelmed – almost paralyzed – knowing all the things I should change but haven’t quite yet despite my blog and my efforts. To be honest, I fell off the “52” wagon for a while and left the message a bit to some great guest writers. And, even though I am working on the book, I often have to remind myself that sometimes all you can really do is a baby step toward change and even that little step is a huge deal– especially when it all seems so overwhelming. So, the past month or so, after a coming off some weeks of feeling like crap for no particular reason, I started thinking about just eating better and maybe kick-starting it all with a cleanse. I had broken up with cheese last year (it lasted a few months) and even tried to eat blueberries regularly (that lasted longer) so I Googled and researched, and again became frozen – there were just too many Cleanse choices. Then I was watching some infomercial one night at 2 A.M. and decided to try the whole blender/juice thing. 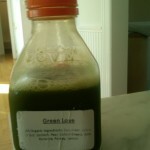 So for a week, every day, I went to my local health food store instead of Starbucks, walking my dog Lucy, and ordered some green juice with kale, parsley, spinach and other green things (you get the idea) and paid about $7.00 for the vomit-colored juice. Upon first tasting it I wanted to throw it out. “You can add an apple to sweeten it,” the nice juice man explained to me. “Are these really popular?” I asked. “Yeah, it’s amazing. I make them all day.” Ugh. But down it went. The apple helped. By day three I was starting to get used to it. That weekend, out near the beach, I found another place that sells a lot of green-wheat grassy, organic, why can’t I still eat what I want? stuff. They even offer a cleanse program. I took the brochure. This was about day 7 of my “juice experiment” so I was growing accustomed to the taste but if I had to choose between the one in NYC and the beach place I preferred my customized “add an apple” juice. So the result? By the end of the first week I got used to my new daily dose of vegetables – liquid form. And, strangely, likely coincidentally, I feel better! I still look forward to my glass of wine and Starbucks, but I am hopeful that, especially if these places start offering Wi-Fi, I will be sitting at a Juice bar with my laptop, reviewing the more ambitious cleanse programs (BluePrint? Master?). For now though, I am looking over the brochure from Organic and will keep walking my dog and getting my daily dose of liquid, green, apple-sweetened, vegetables that I will likely rarely have in solid form. First let me say, I recently stumbled onto your blog and am thoroughly enjoying it! I too am trying to make an effort to get moving and make things more interesting in my life. You and your friend’s blog will surly provide some inspiration. 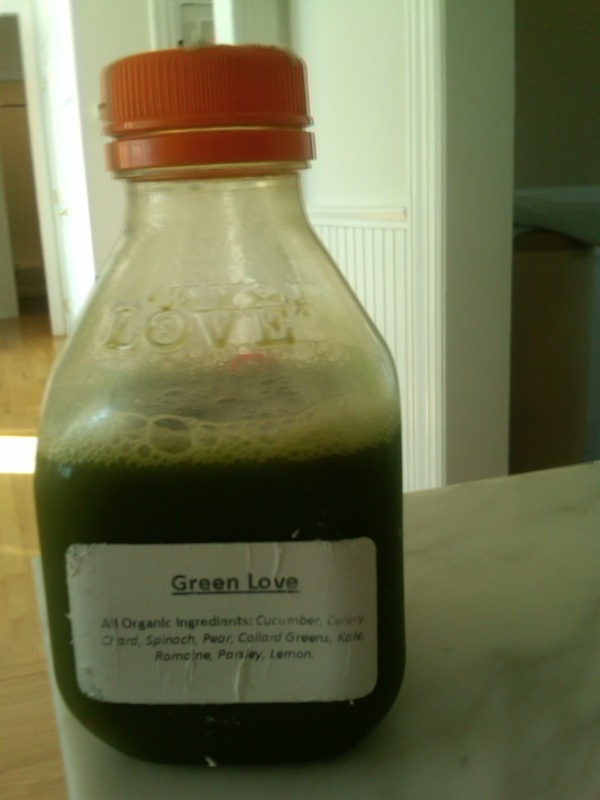 Anyway, the green sludge drink–my friend purchased a super duper juicer thingy from Costco and has been whipping up kale concoctions ever since. They are quite tasty, although unsightly. She keeps insisting the machine will change my life! I’ll give it a try as long as I can still have my wine.